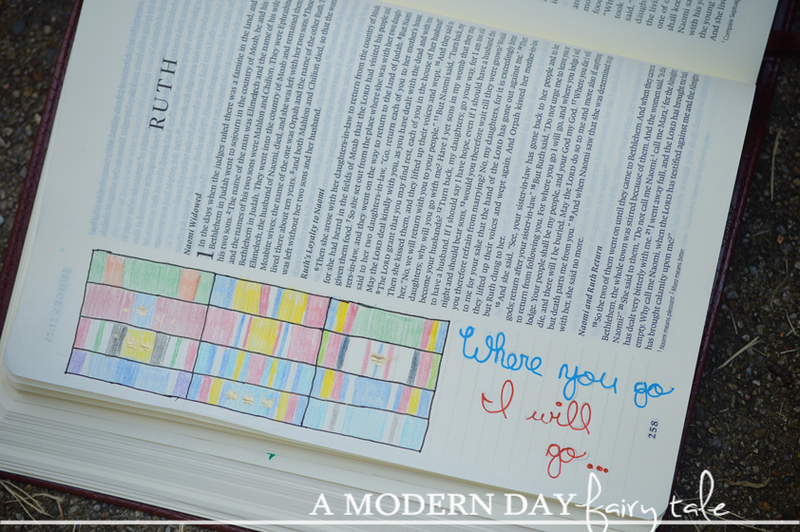 A few weeks ago, I shared a quick introduction to Bible Journaling- covering questions about what it is, what you need and how to get started. If you missed it, be sure to visit that post here. 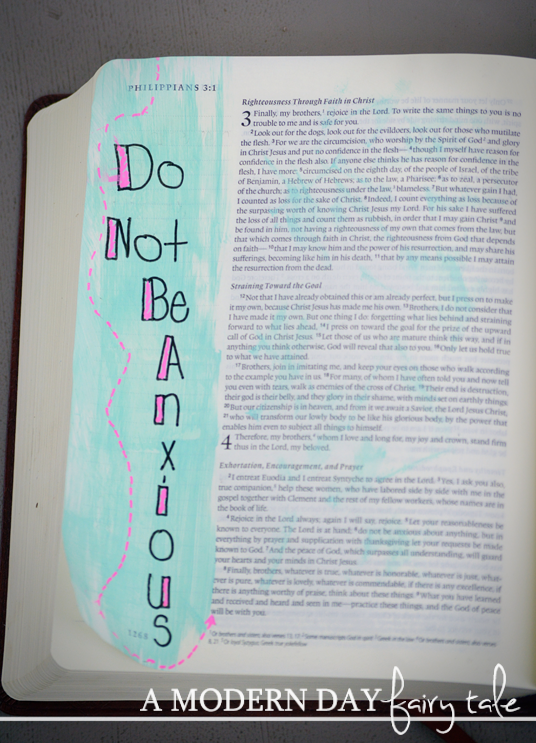 For the beginning Bible journaler, colored pencils are a great place to begin! First and foremost, they're inexpensive! They allow your to create beautiful drawings full of color without investing a ton of money up front. Personally, I think you'll fall in love and want to expand your collection, but regardless this is a great cost effective starting point! As much as I love using my colored pencils, I must admit I am a huge fan of bright, vibrant colors... so for me, pens were a must! Gel pens write smoothly and are available in a large variety of colors! They can get a little price-y, but were completely worth it for me. Micron pens are also available in a variety of colors, as well as a variety of sizes. These are ideal for lettering and outlining- great color, with no bleed through. I've found even when using colored pencil, outlining with a micron pen gives a great pop to finish it off! 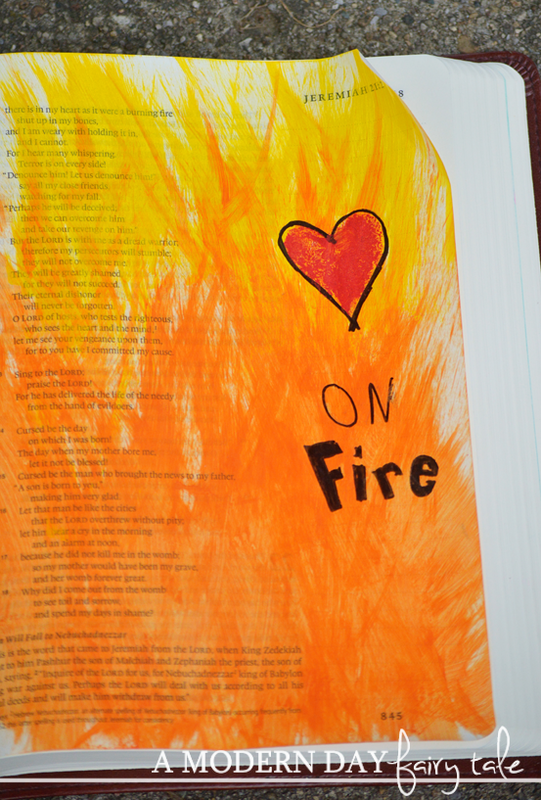 I'll be honest...I was a little bit apprehensive about painting in my Bible! First and foremost, I'm not an artist and I was afraid I might mess something up! But after I got over that, I found acrylic paints to be one of my favorite mediums to use!! I love the vibrant colors that they gave me, and with the particular paint I use (Hand Made Modern, found at Target), I found I was still able to read through the paint too, and there was no bleed through! I do suggest using a sheet of paper under your work, and if possible, testing on an index page in the back of your bible. Be sure not to get too much paint on your brush and allow to dry completely before closing to avoid sticking. I'll be honest, I have not personally used watercolor in my Bible, but it is a very common medium among Bible journalers. Like acrylic, it gives you gorgeous color without covering your words, but tend to offer softer colors. Some find that when using water colors, you may need prepare your page first with a primer to prevent bleed through while others find this unnecessary. Again, I suggest testing it out on a back page is possible, and be very mindful of using too much water! There are also watercolor markers and pencil that can work great as well. 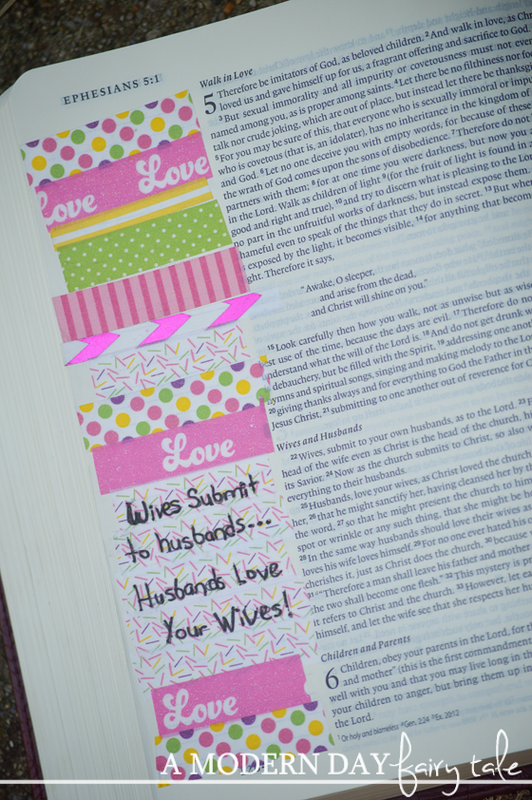 Warning: If you are Bible Journaling on a budget, do not use washi tapes! They are not always the cheapest options and once you start buying, you'll want them all! Still, this is a super fun way to bring in more color and design even for the non-crafty! Though I have not quite mastered the use of washi-tape in my journaling, I have seen some beautiful creations from others! Washi tape can be a great solution if you've had a page that bled through as well... it covers the bleed through and allows you to create something new! This is another one of those things that COULD have the potential to get price-y, but is another great option for the non-artists among us. Stamps allow for stunning pictures and designs, with little artistic ability required! Again, be mindful of bleed through with your inks. I love bold prints! But drawing them by hand? Not in my skill set! So, stencils are a great addition to my collection.You can use them with paint, pens, colored pencil...whatever your preferred medium! 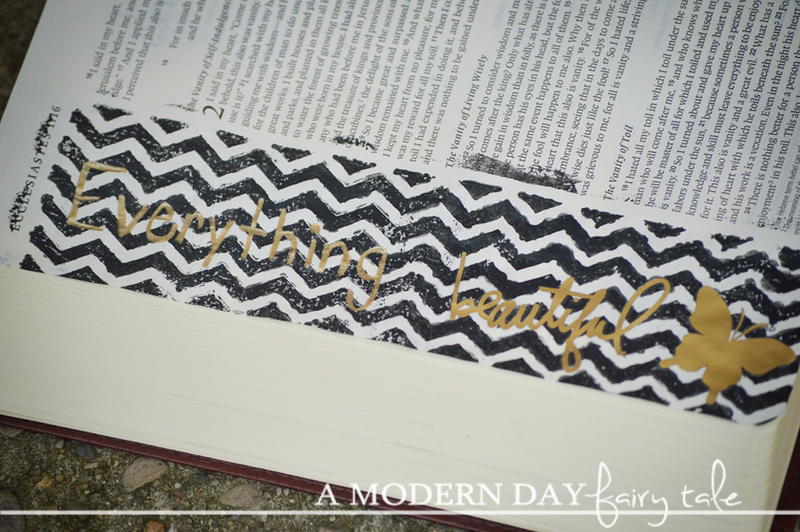 Of course, these are just a few of the many great mediums you can use in your Bible Journaling! The possibilities are endless! Get creative, have fun, make it you! 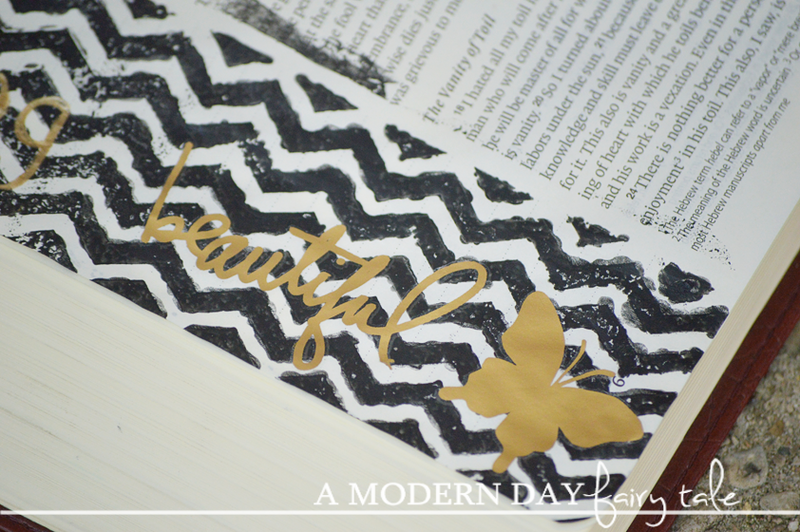 Have you started your Bible Journaling adventure yet? What are your must have supplies? Which can you do without? You're so creative! I agree with you on getting addicted to washi tape -- my old roomie and I used to go nuts at Target and spend way too much money on them. They're just so cute though. You have such great talent!! Im sure mine will look like just a mess lol!! I love the metallic gel pens and stencil ideas!! So super cute and inspiring!! I got mine the other day that I won from your blog! I love all these ideas. I was looking at really basic highlighters but this gives me lots of ideas. That's a great way to interact with your bible.